On June 8, German Chancellor Angela Merkel started a series of visits to Latin America. Argentine economist Marcelo Elizondo told Sputnik Mundo that Merkel is trying to re-establish ties between Germany and Latin America, among other things, amid strained relations with US President Donald Trump. According to the expert, one of the major topics for discussion will be a free trade agreement between the regional Mercosur economic bloc and the European Union. “After Trump’s election, the strategic priorities of the EU have changed. Mercosur is using this opportunity to try to advance the development of these ties. Macri [the president of Argentina] (pictured below) seems to maintain an active international presence. Latin America is going through a difficult period. Brazil is facing domestic problems, Chile is struggling with its weak government, Mexico is facing difficulties with the US, and Colombia — with its unpopular government. 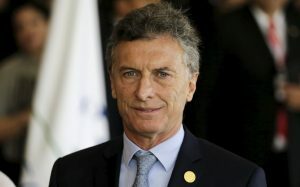 The Argentine president is trying to fill the empty space and take the lead,” the expert told Sputnik Mundo. The analyst also noted that Merkel’s visit is closely related to her recent statement in which she literally called on European countries to be more independent from the US.“The times when we could fully rely on others are to some extent over — I experienced that in the last few days. We Europeans must really take our destiny into our own hands,” she said. In his turn, German journalist Jürgen Vogt noted that the Argentine president has a rather pragmatic interest in Merkel’s visit. “For Macri, this is important because of the parliamentary election on October 22, where he has no majority,” the journalist said. “A picture with such a powerful person from Old Europe, as Merkel, is very handy,” he explained. During her visit, German Chancellor Angela Merkel welcomed the interest of Latin American Mercosur countries in negotiating a free trade agreement with the European Union. Mercosur is a sub-regional economic bloc, which unites Argentina, Brazil, Paraguay, Uruguay and Venezuela (suspended in 2016). The aim of the bloc is to promote free trade and free movement of goods, people and currency. In 1999, the European Union and Mercosur signed an agreement on bilateral cooperation, which provided ground for trade relations between the two regional blocs. Since then there have been several attempts to negotiate a free trade agreement, but no results have been achieved yet.